Last year we didn’t get any corn because of these guys…. 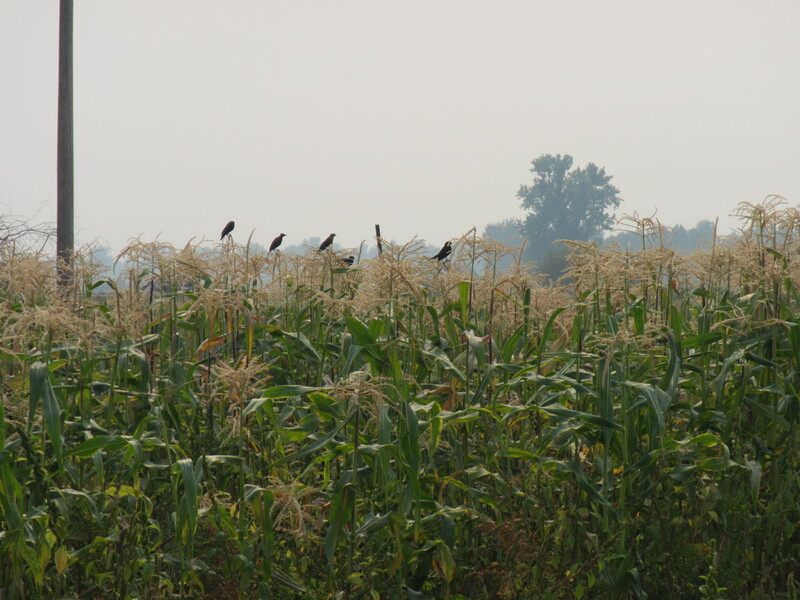 Because we live in the river bottom we get to share the land with many other beings, including Red-winged and Yellow-headed blackbirds, a.k.a. corn munchers. Leon has been watering the corn enough so the husks have grown past the tip of the corn, making it harder for the birds to see. But they’re on to us. If your corn is munched on the tip simply cut the end off and enjoy knowing that you have contributed to the migratory bird banquet. 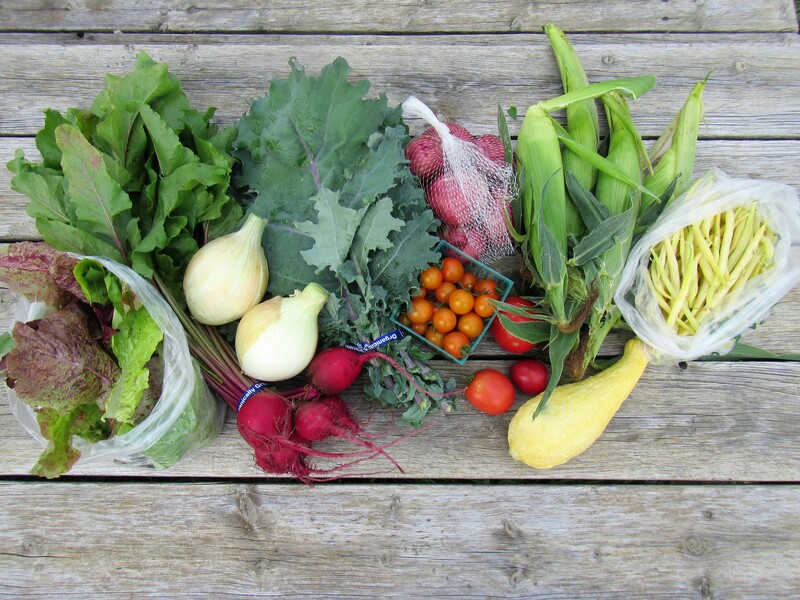 We hope you are enjoying the summer’s bounty. 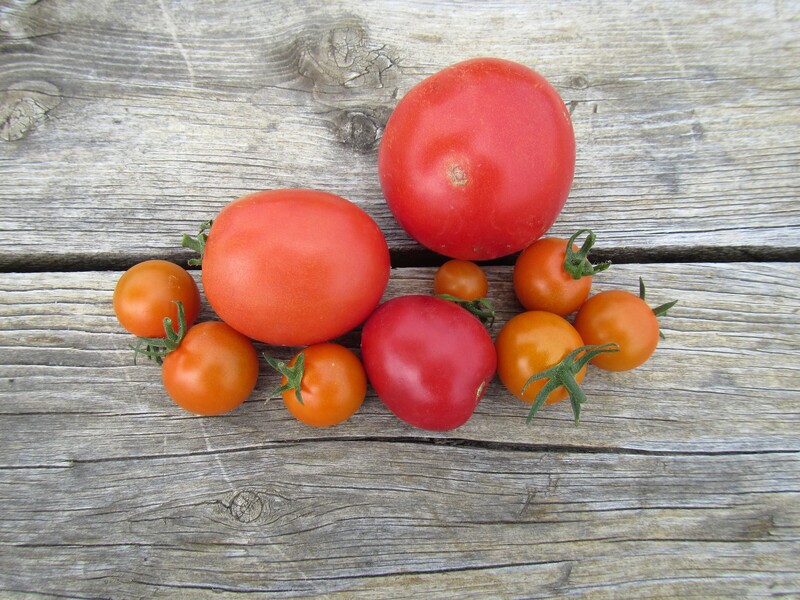 We grow Sungolds, Bellstar which are an Italian paste tomato and Cosmonaut, an heirloom slicing tomato from Russia. This week you will get a small sampling of each. 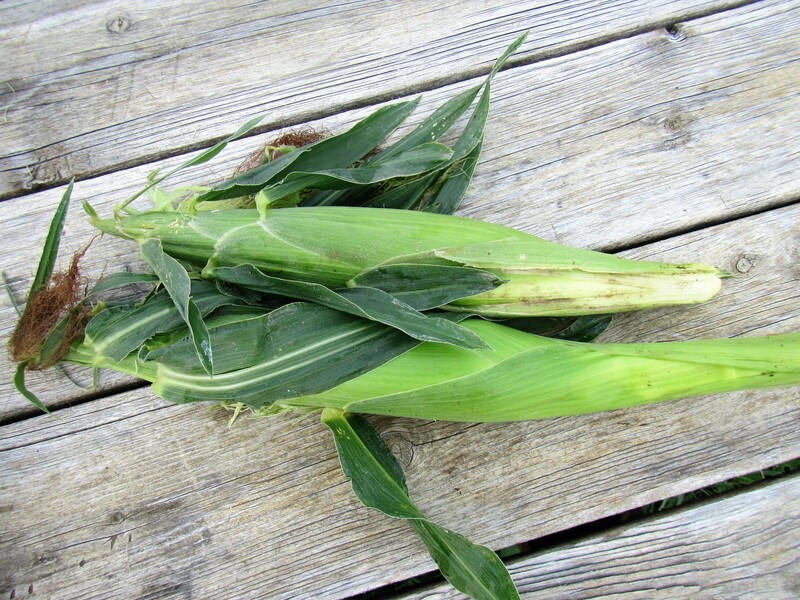 Leon’s favorite variety, Trinity, a bicolor corn. Early, consistent and flavorful, but a little chewed, read “Notes from the Farm” if you haven’t already.